All state parks are also tobacco-free. POIPU (HawaiiNewsNow) - Any kind of tobacco use — including electronic devices — is now prohibited at Poipu beach park on Kauai. The Coalition for a Tobacco-Free Hawaii partnered with Kauai Mayor Bernard Carvalho Jr. and the County Parks and Recreation department to declare the prohibition of tobacco use in the park Thursday. “No smoking” stickers were posted on all county trash bins in the park and signs are in the process of being installed. “This step is in the right direction for the general health of our community, and ensures a healthy future for all,” Carvalho said. 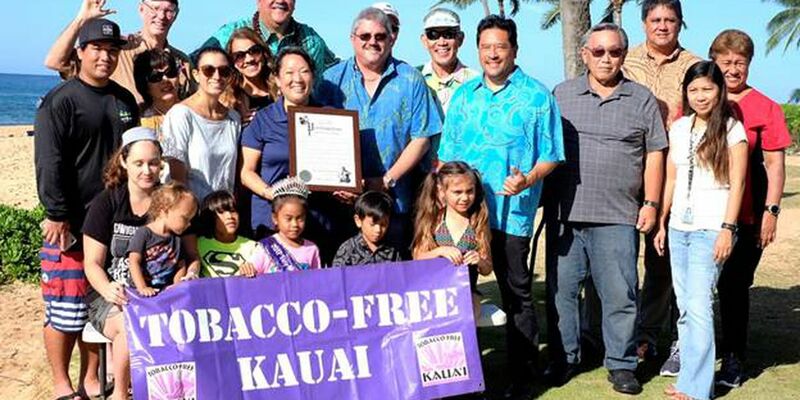 Poipu becomes the second tobacco-free county park on Kauai, Lydgate park was the first.